The advantages of transmitting through a primary use system are many, and comparisons between primary and secondary systems can be delineated clearly and without hesitation. However, the single most important benefit rests in the amount of control the utility has access to. 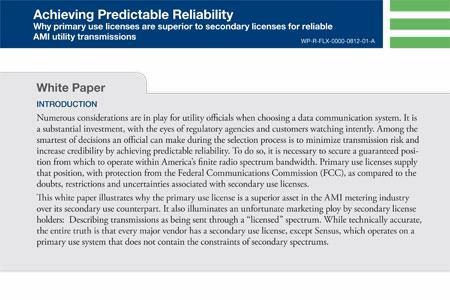 In a primary use system, the utility has 100 percent control of its transmission environment - a monopoly protected and guaranteed by the FCC’s Universal Licensing System.